New and Used Pulse Oximeters are for Sale at The Dr’s Toy Store. 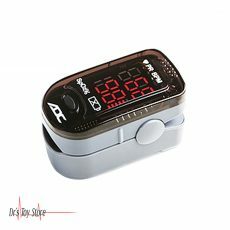 Buy Pulse Oximeters now for the Best prices. Pulse Oximeters are small lightweight monitors which are attached to a fingertip without causing pain in order to help monitor the amount of oxygen transported in the body. Oxygen levels above 95% are generally considered to be normal oxygen levels. The oxygen level of 92% or less (at sea level) indicates a low oxygen level in the blood. In addition to the oxygen level, the pulse rate is also displayed. Normal pulse rate values for adults ranges from 60 to 80 beats per minute. It is expected that the heart rate increases with exercise and oxygen saturation decreases slightly (it should still be 90% or more). The pulse oximeter works by shining light through the finger. The sensors help in detecting the amount of oxygen in your blood, depending on how light goes through your finger. 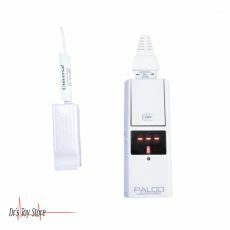 Pulse Oximetry is a technology that calculates the results to show the number on the oximeter’s screen that shows the percentage of oxygen in the blood. 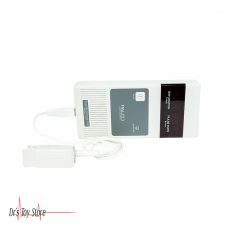 Pulse oximeter also measures the pulse rate. The finger pulse oximeter has increased the availability of pulse oximetry to include monitoring of patients at home. In COPD patients, pulse oximetry is useful as a tool for patients who are used at home to assist in their management under the supervision of a physician. Monitoring the saturation of oxygen level will assist in adjusting the rate of oxygen flow at home, during exercise, and during social activities. It can also help your doctor decide if your COPD becomes worse than expected. 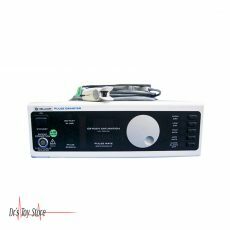 As the foundation of the revolutionary OxiMax pulse oximetry system, the OxiMax N-595 pulse oximeter combines the best of Nellcor pulse oximetry with versatile OxiMax monitoring platform. The motion-tolerant OxiMax N-595 Pulse Oximeter is equipped with Nellcor’s most advanced signal processing technology; this allows it to withstand the most challenging monitoring conditions with substantially greater accuracy than conventional pulse oximetry. 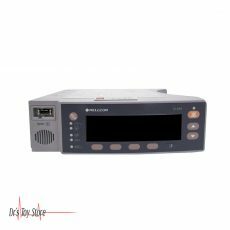 The N-595 Pulse Oximeter also includes the SatSeconds Alarm Management technology, an innovative feature for managing nuisance alarms without sacrificing patient safety. The OxiMax N-595 Pulse Oximeter incorporates the latest Nellcor algorithms to capture these challenging conditions. This means that you can expect accurate and reliable operation in a wide range of patients conditions, even when faced with patient motion and low perfusion at the same time. The Nellcor N-100 is a tabletop unit perfect for use in the operating room. 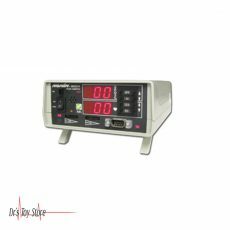 This pulse oximetry unit has a three-hour backup battery for continuous use and displays and reading for pulse and saturation readings. Users can use the alarm and volume settings. The Advantage 2200 Digital Fingertip Pulse Oximeter is a pocket-sized pulse oximeter for monitoring oxygen and heart rate. These portable fingertip pulse oximeters are perfect for home, sports, and aviation. Below is a list of the Best Pulse Oximeters brands that are available for purchase at Dr’s Toy Store.